A forensic psychologist is a legal expert that provides critical psychological services for the court system. While most forensic psychologists work directly with the courts, they may also work in corrections, law enforcement and academia. Many people are familiar with forensic scientists who work within the criminal justice system to investigate crimes. However, forensic psychology integrates principles of psychology and criminal justice in order to provide unique legal services. The focus of applied forensic psychology tends to be establishing witness credibility and providing expert testimony. Therefore, forensic psychology focuses on psychological aspects related to the trial process, such as memory, awareness and witness integrity. In addition to this, they must also be legal experts in order to integrate their services into a smooth trial process. This means that forensic psychologists must be legally well-versed in topics such as hearsay evidence and common adversarial system. Most forensic psychologists have a doctoral degree in legal, clinical and social psychology, according to the Bureau of Labor Statistics. However, PhD degree programs may focus on civil, family or criminal court systems. Being licensed by the state and having a Ph.D. in psychology or a Doctor of Psychology degree establishes a forensic psychologist as a highly trustworthy source of testimony and information. Therefore, with this exclusive training, they are often called upon to act as expert witnesses during trials. Forensic psychologists are trained to perform comprehensive assessments on court participants, such as defendants and witnesses. Therefore, forensic psychologists who perform psychological assessments must have similar credentials to psychologists that perform mental health assessments. Forensic psychology is a unique field that requires certain skills. For example, forensic psychologists must have excellent logic, analytical and observational skills. Because forensic psychologists establish witness competency, they must be able to correctly interpret people’s attitudes, behaviors and body behavior. Consequently, forensic psychologists must be confident, independent and impartial. Finally, they must have excellent verbal and written communication skills because their documented testimonies will play major roles in court trials. In fact, since their expert testimony can be the deciding factor in life and death decisions, they must have the highest ethical standards. There are three types of court related forensic psychologists: expert witnesses, trial consultants and court evaluators. Expert witnesses are independent professionals that attorneys use to support their case and any witnesses. They often have specialized training in social, cognitive or criminal psychology. They are typically called upon to testify on the mental state of the defendant. Court judges are empowered to either accept or reject the credibility of expert witnesses. However, certain forensic psychologists prefer to work together with an attorney to prepare cases, select jury members and develop case strategies. Therefore, these trial consultants engage in a lot of legal research and document preparation. Finally, court evaluators are clinical psychologists who assess the mental health of defendants. This involves evaluating the defendant’s mental state before, during and after civil and criminal incidents. Court evaluators collaborate with expert witnesses to facilitate accurate trials. Overall, court forensic psychologists provide unique psychological services within the court system. To recapitulate, forensic psychology is an integrated field that combines features of being an attorney and psychologist. Forensic psychologists may either specialize in law or standard branches of psychology. 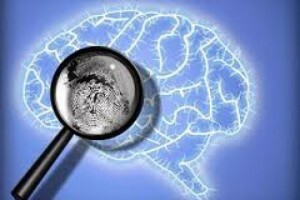 Forensic psychologists are highly trained experts who assist attorneys by participating in civil and criminal trials.